Modern Cabinet Company believes that quality is in the smallest of details. In order to stay true to this belief we are constantly updating our construction standards to ensure that our products are not only aesthetically pleasing but will also stand the test of time. Our drawer box construction is a direct reflection of this practice. 5/8″ thick maple lumber. Sides are dovetailed together (as in fine furniture construction). 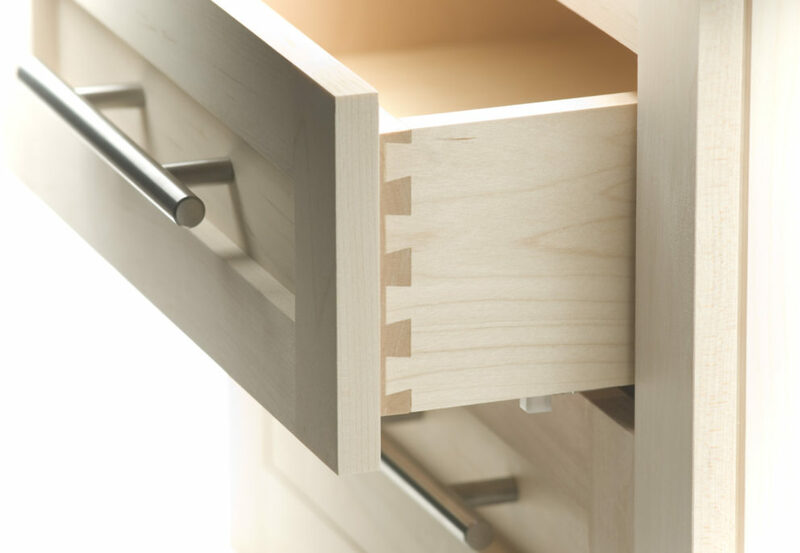 Drawer box bottoms are constructed using 1/2″ thick Maple veneer plywood resulting in a much sturdier drawer than the 1/4″ thick bottoms the majority of our competitors utilize.